This is how a fresh berry looks like inside This is how a fresh Miracle Fruit berry looks like when it is cut in the middle. Notice that a fresh and healthy seed is green and NOT yellow inside. 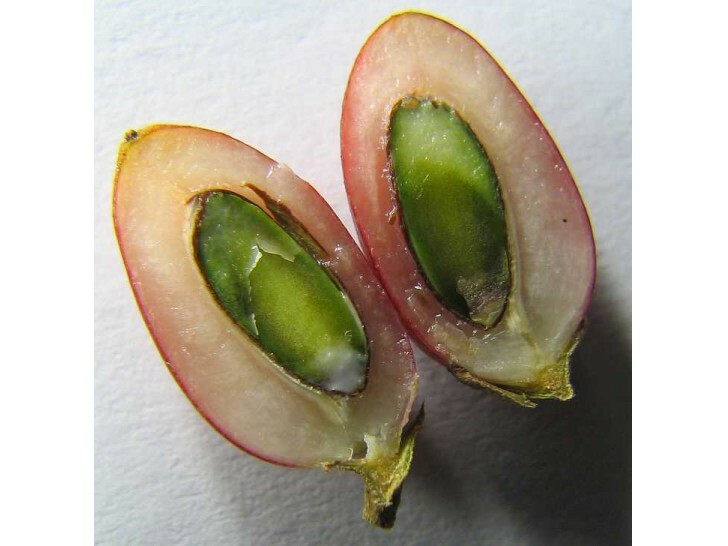 If you cut open a seed and it is yellow or brown inside, most likely its embryo is dead and the seed will not germinate.